During Warsaw edition of World IA Day we will present designing not only in the virtual space, but also in the physical world that surrounds us. We will show different perspectives in their approach to architecture showing its broad influence on our life. Thanks to our sponsors participation in Warsaw’s World Information Architecture Day is free. How can unicorns and gnomes help you build conference experience? What does the architecture of information need the availability for? Head of Communication Design Department at School of Form. Independent designer and UX consultant. After twelve years of scientific and consulting work all over Europe, Agnieszka decided that it would be great if all the Polish companies focused on users while developing their products and services. In her everyday work she combines science with design as well as technical and design knowledge with humanities in order to have a strategic look at business from the perspective of User Experience. Next to it she runs a Communication department at School of Form and also teaches Experience Design, Future Thinking and Design Analysis in Context. 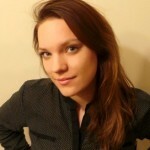 In her free time she also holds the position of chairperson of the Polish interactive designers branch: CHI Poland, which is a member of operating internationally ACM and conducts blog uxplus.pl. Agnieszka Szóstek is speaking in Warsaw, Poland on Pattern language as a tool for designing the architecture of user behaviour. An Expert of Accessibility of Internet websites, experienced front-end developer, interface designer and promoter of Internet standards. The author of publications on accessibility, i.a. commissioned by UNDP (the publication was translated into Russian and English) as well as by PFRON - State Fund of Disabled People Rehabilitation (“Accessibility of websites”). He used to work as a Chief Technical Auditor in the largest so far project of accessibility study concerning 200 websites of public administration and NGOs. 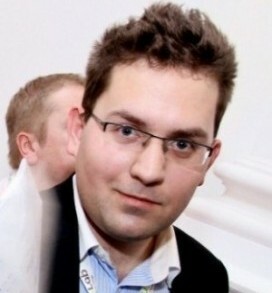 At present he is a Website Accessibility Director at a social cooperative Akces Lab. Dominik Paszkiewicz is speaking in Warsaw, Poland on What does the architecture of information need the availability for?. Jakub Koźniewski (jkozniewski.com) is an interactive-experience designer and new media artist, co-founder/initiator of panGenerator (pangenerator.com) pioneering new media design collective and head of berrymachine - agency providing tangible and ubiquitous interactive experiences for the brands. Jakub explores unconventional interfaces that may be considered both as tools of artistic expression and an art form in itself. He strongly believes in bridging the gap between artists, designers and tech-people to produce truly innovative and artful forms of communication. With his colleagues he lectures and conducts workshops devoted to new media design and technology. 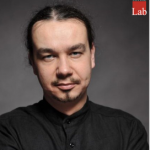 Jakub Koźniewski is speaking in Warsaw, Poland on Data Driven Art / the art of interfaces..
Project Manager with seven years of experience in working for interactive agencies such as K2 Internet and Emarketing Experts. He worked for Nokia, Goodyear, Chancellery of the Prime Minister, Pfizer and managed dozens of projects - from microsites to the big portals. He works with Who Else since February 2012, where he is responsible for the development of new products. 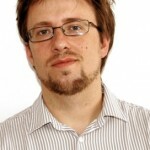 He graduated from the Faculty of Journalism and Political Science and the Faculty of Management at University of Warsaw. Tomasz Dominiak is speaking in Warsaw, Poland on Harder, Better, Faster, Stronger - UX designing process in WhoElse. User Experience Designer and Usability Specialist with strong background in Cognitive Psychology. 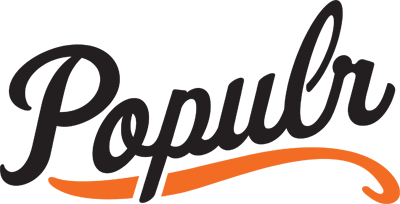 Over 6 years of experience in working at large interactive agencies, as well as small, agile start-ups. 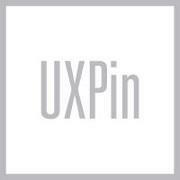 Focused on practical approach to UX design (including business design strategy and service design). At WhoElse he's working in-house at innovative digital products. 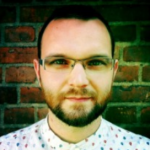 Tomasz Rutkowski is speaking in Warsaw, Poland on Harder, Better, Faster, Stronger - UX designing process in WhoElse. Computer Scientist. PhD student on psychology. Lecturer and research assistant at SWPS. He also teaches at: School of Form, UW, PJWSTK. He teaches issues related to HCI. Passionate about sharing programming skill. His main research interest is complex systems. He specializes in computer simulations and network analysis. 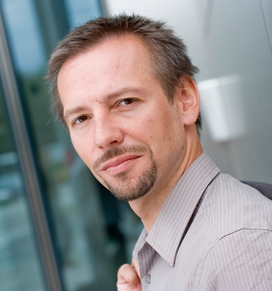 He participates in research into ‘Future and emerging technologies’ EU programme. Creator of training tools used in West Point and ONZ. Visualization from his scientific work has been exhibited in Centre for Contemporary Art Ujazdowski Castle. 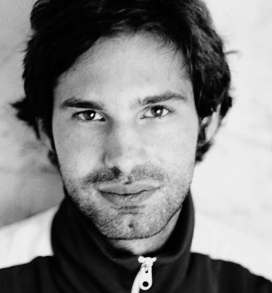 Creator of interactive installations in CSW Laboratory, Zacheta and Nowy Teatr. Wiesław Bartkowski is speaking in Warsaw, Poland on Generative information architecture: story about that why designer need to code?. 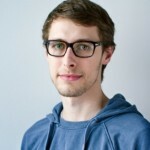 Marek Kasperski (ThinkLab.pl) - he is professionally connected to the digital project market (AI, UX, usability). An author and co-author of books, including Projektowanie stron WWW. 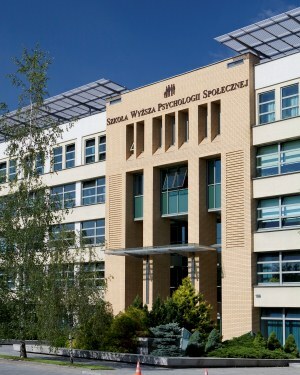 Użyteczność w praktyce (Helion 2008) (http://helion.pl/ksiazki/wwprot.htm). [Designing websites. 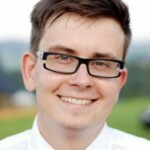 Usability in practice] He writes a blog: UI Design (http://ui.blox.pl/). He has worked, inter alia,for: Agora, Allegro, Eniro, Goethe Institut, Goldenline.pl, Grono.net, Adam Mickiewicz Institute, Merlin.pl, Orange UK, Polkomtel, Raiffeisen Bank, Polish Security Printing Works, etc. Married to Kamila Gawrońska-Kasperska, he takes care of two cats: Misiu and Mysza. Marek Kasperski is speaking in Warsaw, Poland on Modular Design. A graduate of Social Psychology at SWPS. She started her research already during her studies. Later she completed an internship in K2, where she worked as a UX researcher. 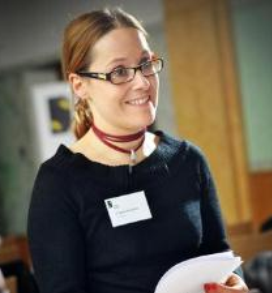 Now she does research in public sector for Centralny Ośrodek Informatyki [Information Technology Centre]. Tests with users give her so much satisfaction that the only things she needs to be fully happy are small and big trips. Jessica Kolarz is speaking in Warsaw, Poland on Press for iPad research from the inside. She has been dealing with user experience tests and design since 2006. Her greatest passion are studies and research - individual in-depth interviews, observation of users, eyetracking, ethnographic research. She used this passion to conduct Facebook eyetracking study which was awarded at the international contest - IAB Europe Research Awards 2011. 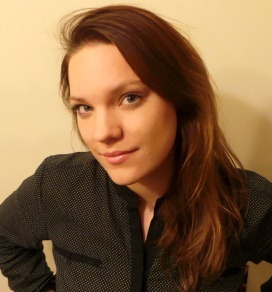 She has been working for K2 agency for 5 years; at present she is a UX Research Manager. 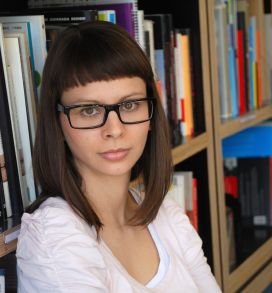 In her free time she writes a blog - IfixUX.pl and lectures at UX Design studies at SWPS. 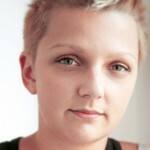 Paulina Makuch is speaking in Warsaw, Poland on Press for iPad research from the inside. UX & Graphic Designer, Applicake. A very good Evil Designer (http://blog.applicake.com/index.php/2012/06/29/seven-evil-design-commandments/) and WebMuses (http://webmus.es/) activist. Graduate of design at Academy of Fine Arts in Cracow and visual communication at Ecole Estienne Paris. Soon she will finish “UX Design” postgraduate studies. Day-to-day she helps clients to create functional and visually attractive applications. Occasionally she draws raspberries (http://railsberry.com/) and assembles LEGO vehicles. She likes getting lost in unknown towns, dancing and sleeping because then she comes up with the best ideas. Emilia Maj is speaking in Warsaw, Poland on How can unicorns and gnomes help you build conference experience. Design Strategist. Weronika leads service design and design strategy projects at CODE Design, a Katowice-base design studio. She joined the team after working at the Design Council in London, one of the leading centres of design management excellence and promotion. She was involved in projects focused on promoting design and design thinking amongst British SMEs, teachnology transfer offices at universities and public sector organisations. 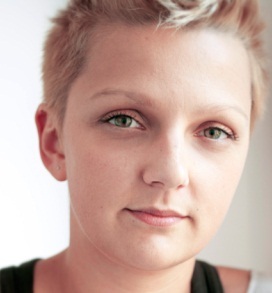 Weronika Rochacka is speaking in Warsaw, Poland on Design information and design experience. An animator and media education trainer. In Centrum Cyfrowe, he coordinates the project Creative Commons Polska and takes actions concerning open education. 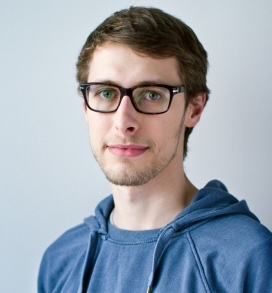 He works for Coalition for Open Education, Fundacja Nowoczesna Polska (a foundation) and Panoptykon Foundation. A netoholic. 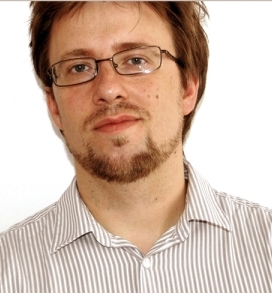 He runs a website on open education and multimedia resources on the web otwartezasoby.pl. Kamil Śliwowski is speaking in Warsaw, Poland on Expert knowledge on the web: how do we work on simplifying difficult legal and social issues?. A pioneer of UX and Information Architecture in Poland. 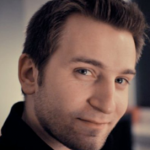 For 10 years he has been actively running UX projects for major Polish and international companies. He accomplished projects, inter allia, for clients from the USA, Canada, England, Germany, Holland, Norway. A graduate of Social Psychology of Information Technology and Communication at SWPS. 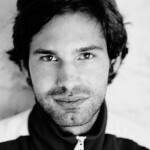 Day-to-day he runs a designing and consulting company UseLab Sp. z o.o. (Ltd.) and product companies. 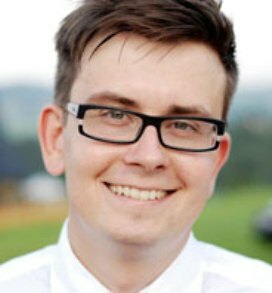 He is a member of Information Architects society in Europe (EuroIA ambassador), a member of UX & Usability Professionals Associations and IAB Polska. 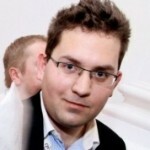 He is the originator and organizer of the international conference - Polish IA Summit / UX Poland. He is an academic teacher at Warsaw School of Economics and the manager and originator of User Experience Design postgraduate studies at University of Social Sciences and Humanities in Warsaw. In his free time he travels and practices sports, mainly skiing and tennis. Hubert Anyżewski is speaking in Warsaw, Poland on Introduction. UX Designer and Consultant, UseLab Co-founder President of the Board at UseLab, a research and consulting company dealing with user experience, usability and information architecture. A practitioner with 8-year experience. In UseLab, he is responsible for marketing, sales and key client consultancy in creating and implementing User Experience strategies. 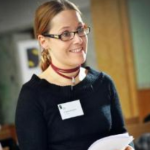 Lecturer at SWPS, member of EuroIA organizing committee. Wiesław Kotecki is speaking in Warsaw, Poland on Introduction. 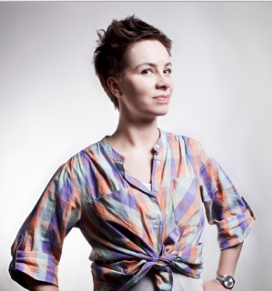 Katarzyna Grzebielec is coordinating WIAD 2013 in Warsaw, Poland. 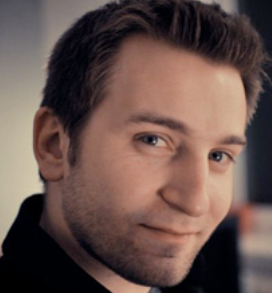 Wiesław Kotecki is coordinating WIAD 2013 in Warsaw, Poland. World IA Day 2013 is an official event of the Information Architecture Institute in 15 official locations worldwide. The event described on this page is being organized independently in a 'grassroots' fashion by local coordinators.